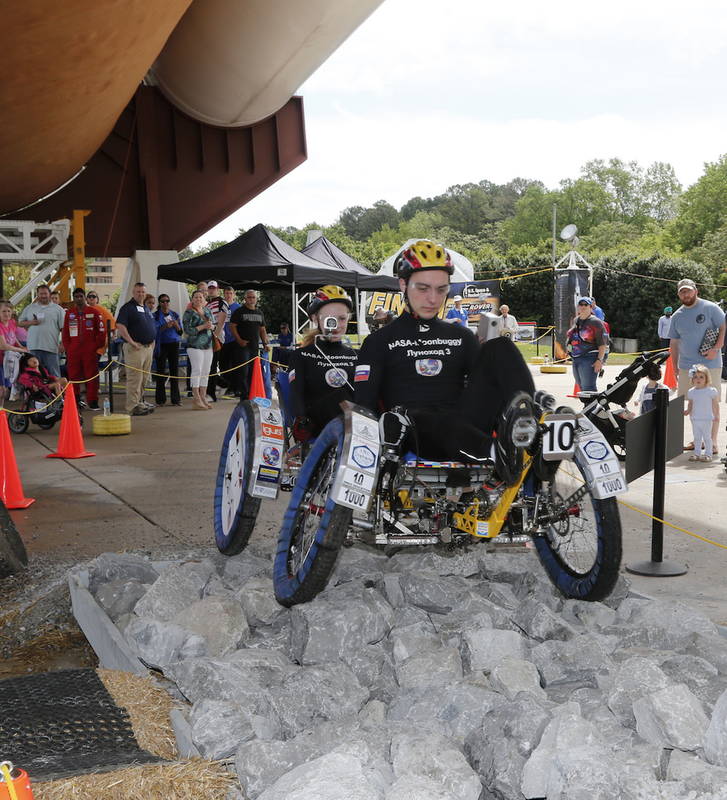 Mumbai’s SVKM’s NMIMS Mukesh Patel School of Technology, Management & Engineering has won two prizes at the NASA Human Exploration Rover Challenge was held April 17-18 at the U.S. Space & Rocket Center in Huntsville, Alabama. In addition, the team also won the safety system award in university division whiel the spirit award was for its overall team energy enthusiasm and camraderie. In all 95 registered student teams from high schools, colleges and universities across 18 states and Puerto Rico, as well as international teams from Germany, India, Mexico and Russia participated in the event. Awards were presented to teams posting the fastest vehicle assembly and race times in their divisions, with the fewest on-course penalties. In addition, other awards were presented for accomplishments regarding technology design, systems safety and more. University Division: SVKM’s NMIMS Mukesh Patel School of Technology, Engineering and Management.